Make sure the platform is constructed of a durable material, preferably stainless steel. This material has to be built to withstand years of use, various weights, and heavy duty lifting and loading with potential damage to the surface. Find a platform that includes overload protection to keep from overwhelming your platform with product. Look for a scale with no moving parts! 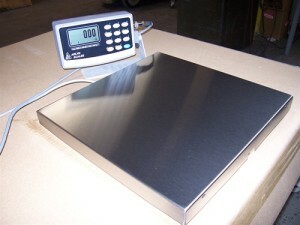 This ensures an accurate scale reading, as well as an additional safety option. Compare and examine the weight resolution of different models. You want to be as accurate as possible, so look for an excellent weight resolution. A fully functioning indicator will do wonders with an easy to read screen, large digital typeface and it should accept different outputs, including 4-20 ma or 0-10 v.
A warranty from a well established company that is eager to help provide you with the level of service you need. An extensive list of additions that you can make to your scale to enhance the productivity. Consider small additions like memory card data logging, rechargeable battery packs, a label, paper, and card printer. There are ports for computer and printers to record, log, and reproduce the data recorded by the scale. Examine the needs of your current operation and budget these time saving additions in where necessary. An effective cylinder scale is a necessary addition to your small treatment plant, well head, booster station and/or various industrial plants. Researching the different types of scales available will allow you to make an informed decision that will positively impact the goals of your company.